you picture a small, intimate ceremony with a few guests at an exotic location. You have trouble identifying what you want. you don't have time to figure out wedding details. you are excited about the big day, but have a full schedule and don’t have time to plan your wedding. You are organized with timetables, calendars, and schedules. you begin planning and become overwhelmed with details. finish up what you can’t complete. research, call, and hire all vendors yourself? trying to pinpoint the best vendors for you? ask friends and other vendors for vendor referrals? choose a venue with one-stop shopping? Which level of wedding coordinator assistance most appeals to you? I may or may not hire one. If I did, it would simply be to allow me to enjoy my day. I would hire one to plan out the majority of my wedding, with my input. could enjoy family and friends in the weeks leading up to my day. one to help handle the details. and handle details on my wedding day. enjoys life and likes enjoys life and likes to have fun. enjoys the process, but willing to delegate to decrease stress. is responsible and dedicated to my career, volunteer work, etc. is organized and likes to be in charge. The Take Charge Bride! You know exactly what you want from your dress, flowers, and ceremony to your cake, reception, and decor. Incredibly organized, you have a timetable planned out as to what needs to be done month-by-month, week-to-week, and day-to-day. You typically excel at calling and following up with all your vendors and have all the details, small and large, taken care of. Confident that all is under control, you plan everything yourself, and delegate specific tasks to your friends and family. If you hire a wedding planner, it is as a resource on an hourly basis to help troubleshoot concerns or provide advice. You may or may not choose to have a wedding day coordinator. If you do, it is so you can enjoy all of your hard work and delight in being a bride on your special day. The Enthusiastic Bride! You are excited about getting married and having your dream wedding. You delight in attending bridal shows, having bridal showers, and sharing your joy with family and friends. You often begin planning the details of your big day, but may become overwhelmed and confused as to what direction to take with all the choices and opinions available. Although you want your wedding to reflect you and your intended, you're not sure how to do this. 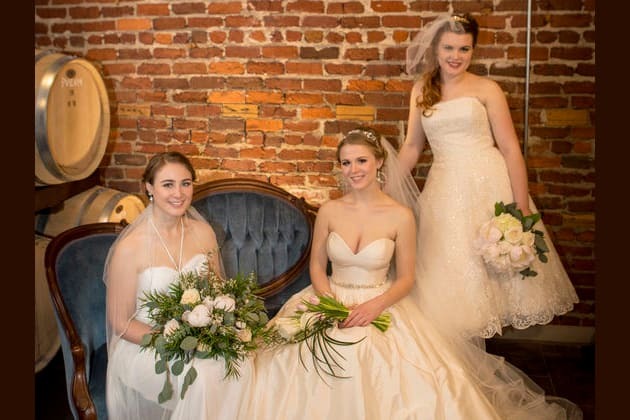 Help for The Enthusiastic Bride often includes a wedding coordinator/planner who can assist you with sorting through the details, determining what style is best, and connecting you with the vendors most suited to your budget and style. The wedding coordinator is also there to direct the rehearsal and manage the wedding day to make the day as seamless as possible. The Busy Bride! You are known as a go-getter, work many hours, and have much responsibility. You typically have specific causes you passionately devote yourself to. Lacking time to plan a wedding, you still want your wedding to reflect you and your groom. You may have definite ideas about what you want for your wedding, but you want to have someone else take care of all the legwork and details so you can focus on your other responsibilities. Therefore, you would hire a wedding coordinator/planner to handle all the details of your special day. Staying in touch via phone, texts, and e-mails lets you give your opinion about colors, styles, and other decisions when desired. The Enjoy the Journey Bride! You plan the majority of your wedding, but want to enjoy fully the month prior to your wedding with minimal stress. Having all decisions made, vendors hired, and invitations sent, you then turn the last few details over to a wedding coordinator. You take the last weeks prior to your wedding to spend time with people most important in your life, attend bridal showers, take time to get your new home ready, and have a much needed massage and spa day! Knowing your rehearsal and wedding day are in the capable hands of your coordinator, you spend the majority of your time basking in the season of being a bride. The Let’s Get Away from it All Bride! You may be any of the other types of brides who prefers a destination wedding and/or honeymoon with either just you and your groom or with a few intimate family members or friends. If you don't go somewhere exotic, you might look for a venue that is all- inclusive. You typically hire a coordinator to help you locate possible locations and to save money on booking and possibly airfare. You may even ask the wedding coordinator to travel to the location selected and take care of the wedding details for your day. Are you engaged and planning a wedding? Take this quiz to find out your bride style! Use it to make decisions easier by identifying your strengths and discovering where you need a professional come alongside to help. Answer these 5 questions to discover your planning style.